Osteoporosis Screening Package @ $291 $168. Call +65 6471 2674 today. Limited Period. 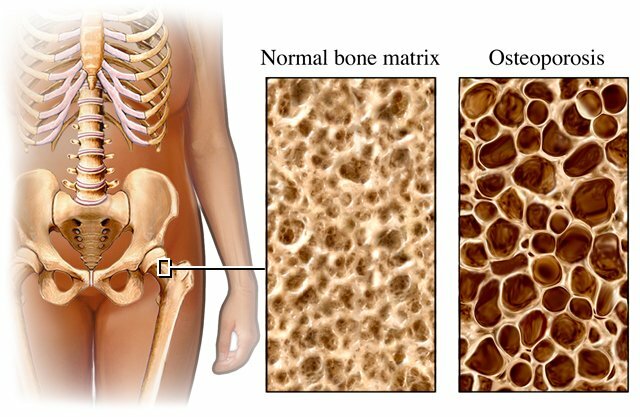 Osteoporosis literally means ‘porous bones’. It’s a condition where bones lose density causing them to become weak, brittle and more likely to break (fracture). About one in two women and one in five men over 50 will fracture a bone mainly because of osteoporosis. Osteoporosis can affect all age groups, but it’s most common in post-menopausal women. Having osteoporosis doesn’t automatically mean that your bones will fracture; it just means that it’s more likely. You can’t see or feel your bones getting thinner, and may only become aware of the condition when you fracture a bone. Osteoporosis weakens the bones in your back (vertebrae), so other signs to look out for include back pain and any changes in your height. People with osteoporosis are more likely to fracture bones in the wrists, hip, pelvis and back. Fractures can, however, occur in any bone. They can result in pain, disability and loss of independence. Healthy bone consists of a strong mesh made of protein and minerals (particularly calcium). This mesh is living tissue that is constantly being renewed by two types of cells. One type (osteoblasts) builds up new bone and the other (osteoclasts) breaks down old bone. 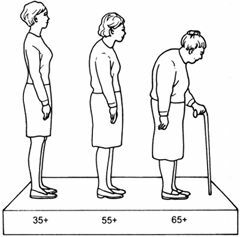 Up to our mid-20s our skeleton is strengthened, but from our 40s onwards our bones gradually lose their density as a natural part of ageing. Our bone health is largely down to the genes we inherit from our parents. However, there are other factors that can put you at greater risk of osteoporosis. Gender – women in their late 40s and early 50s face the menopause. Race – Caucasian or Asian races are at greater risk than African-Caribbean people. Surgery – women who have a hysterectomy before the age of 45 (especially if both ovaries are removed) are at increased risk of osteoporosis. Previous bone injury – bone fractures make the bone weaker so affected bones lose their density quicker. Long-term immobility – bones and muscles become weak if your body isn’t active. Being underweight – if you’re underweight your body won’t have the essential nutrients it needs to repair bones and keep them strong. Poor diet – low levels of vitamin D or dietary calcium means your body can’t repair bones and keep them strong. Some medicines and health conditions can increase your risk of osteoporosis. Osteoporosis is usually diagnosed in hospital, often after a fall or bone fracture. It is often too late by then. There is a way to detect osteoporosis by measuring your bone density using a DEXA scan. The scan is painless and takes 10 to 20 minutes. Osteoporosis is diagnosed if your bone density is found to be lower than average. If your bone density is slightly lower than average, it’s known as osteopenia. Our doctor may prescribe some medicines or injection to increase your bone density. Be proactive and start by checking your bones today. Osteoporosis Screening Package @ $291 $168. Call +65 64712674 (24 Hour).